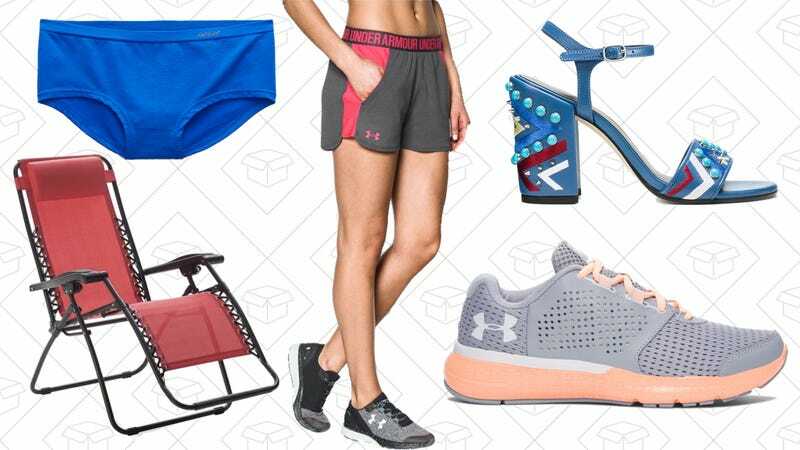 10-for-$30 Aerie underwear, extra discounts from Under Armor, Stuart Weitzman’s Spring Sale, and more lead Friday’s best lifestyle deals. The Original bareMinerals foundation was one of your favorite foundations, which is no surprise. The brand basically invented powder foundation (or at least made it a household item). Right now, Nordstrom Rack is marking down 25 different items from bareMinerals, including sets, for the next three days. The Target Beauty Box comes out once a month and usually sells out quicker than you’d like. If you hurry, you can pick up nine samples of some really impressive beauty goods for only $7. Plus, they launched a $7 Father’s Day box fill of men’s skin care essentials as well. Stuart Weitzman is one of those names that shows up on every website as the shoe brand to invest in. Right now, you can invest if your own pair during Stuart Weitzman’s 40% off sale. Heels, boots, sneakers, and flats are all part of the sale, so now’s the time to get to steppin’. Anthropologie will always be a good destination to start looking for something unique. Right now, you can stock up for summer with their sale on summer-ready tops. Select styles are marked down to under $50, which means you can show some skin without spending too much green. Target makes some of the best affordable apparel around, and it’s even more affordable right now. They’re running a BOGO 50% off on all dresses, including the Who What Wear collection (but sadly, not the Victoria Beckham collab). Pick up your new favorite summer dress and get another one for half-off.